President Barack Obama is pressing his request that Iran return the U.S. surveillance drone captured by the country’s armed forces. AN IRANIAN nuclear facility has been hit by a huge explosion, the second such blast in a month, prompting speculation that Tehran‘s military and atomic sites are under attack. The images clearly showed billowing smoke and destruction, negating Iranian claims yesterday that no such explosion had taken place. Israeli intelligence officials told The Times that there was “no doubt” that the blast struck the nuclear facilities at Isfahan and that it was “no accident”. Iran claimed that the Tehran explosion occurred during testing on a new weapons system designed to strike at Israel. But several Israeli officials have confirmed that the blast was intentional and part of an effort to target Iran’s nuclear weapons program. On Monday, Isfahan residents reported a blast that shook tower blocks in the city at about 2.40pm and seeing a cloud of smoke rising over the nuclear facility on the edge of the city. “This caused damage to the facilities in Isfahan, particularly to the elements we believe were involved in storage of raw materials,” said one military intelligence source. 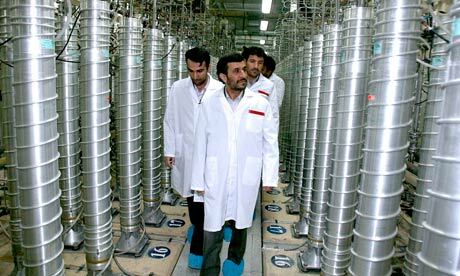 He would not confirm or deny Israel’s involvement in the blast, instead saying that there were “many different parties looking to sabotage, stop or coerce Iran into stopping its nuclear weapons program”. Iran went into frantic denial yesterday as news of the explosion at Isfahan emerged. Alireza Zaker-Isfahani, the city’s governor, claimed that the blast had been caused by a military exercise in the area but state-owned agencies in Tehran soon removed this story and issued a government denial that any explosion had taken place at all. Major-General Giora Eiland, Israel’s former director of national security, told Israel’s army radio that the Isfahan blast was no accident. “There aren’t many coincidences, and when there are so many events there is probably some sort of guiding hand, though perhaps it’s the hand of God,” he said. A former Israeli intelligence official cited at least two other explosions that have “successfully neutralised” Iranian bases associated with the Shahab-3, the medium-range missile that could be adapted to carry a nuclear warhead. “This is something everyone in the West wanted to see happen,” he added.